Home » Why One Health? » What is One Health? 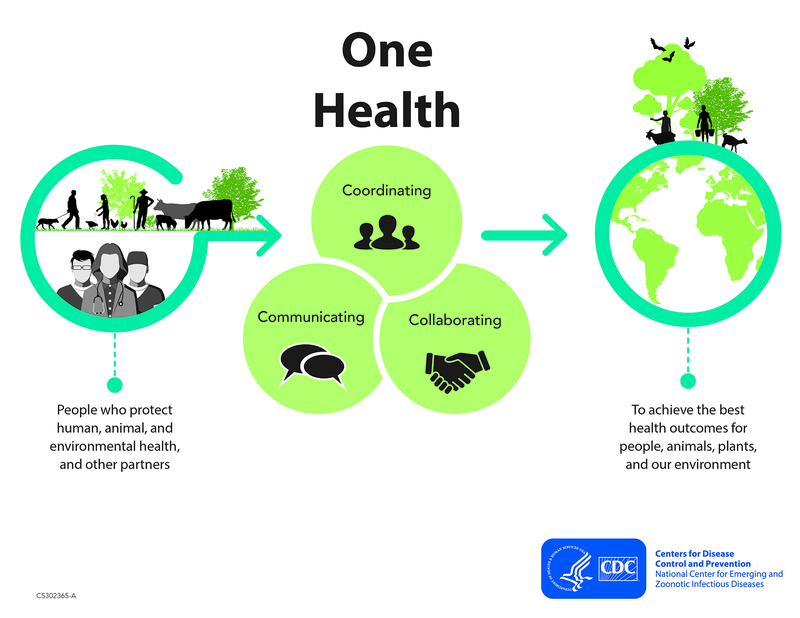 One Health is a collaborative, multisectoral, and trans-disciplinary approach - working at local, regional, national, and global levels - to achieve optimal health and well-being outcomes recognizing the interconnections between people, animals, plants and their shared environment. One Health is the collaborative effort of multiple health science professions, together with their related disciplines and institutions – working locally, nationally, and globally – to attain optimal health for people, domestic animals, wildlife, plants, and our environment. Planetary Environmental health may affect human and animal health through contamination, pollution and changing climate conditions that may lead to emergence of new infectious agents. Human-animal interactions / bonds can beneficially impact the health of both people and animals.